William K. Black suspects that it was more than greed and incompetence that brought down the U.S. financial sector and plunged the economy in recession  it was fraud. And he would know. When it comes to financial shenanigans, William K. Black, the former senior regulator who cracked down on banks during the savings and loan crisis of the 1980s, has seen pretty much everything. Now an Associate Professor of Economics and Law at the University of Missouri, William K. Black tells Bill Moyers on the JOURNAL that the tool at the very center of mortgage collapse, creating triple-A rated bonds out of "liars' loans"  loans issued without verifying income, assets or employment  was a fraud, and the banks knew it. And while there is no law against liars' loans, Black points out that there are, "many laws against fraud, and liars' loans are fraudulent. [...] They involve deceit, which is the essence of fraud." Only the scale of the scandal is new. A single bank, IndyMac, lost more money than the entire Savings and Loan Crisis. The difference between now and then, explains Black, is a drastic reduction in regulation and oversight, "We now know what happens when you destroy regulation. You get the biggest financial calamity of anybody under the age of 80." Black was litigation director of the Federal Home Loan Bank Board, deputy director of the FSLIC, SVP and general counsel of the Federal Home Loan Bank of San Francisco, and senior deputy chief counsel, Office of Thrift Supervision. He was deputy director of the National Commission on Financial Institution Reform, Recovery and Enforcement. "The Two Documents Everyone Should Read to Better Understand the Crisis,"
By William K. Black, HUFFINGTON POST, February 25, 2009. "Adam Smith Was Right about Corporate CEOs' Incentives absent Effective Regulation"
By William K. Black, Cato Unbound, December 4, 2008. "William Black: 'There Are No Real Stress Tests Going On,'"
By Yves Smith, NAKED CAPITALISM, February 17, 2009. "More Musings on the Geithner Plan,"
By Yves Smith, NAKED CAPITALISM, March 24, 2009. "The S&L Crisis: A Chrono-Bibliography ,"
"As Crisis Loomed, Geithner Pressed But Fell Short,"
By Robert O'Harrow Jr. and Jeff Gerth, THE WASHINGTON POST, April 3, 2009. "Addressing the Need for Comprehensive Regulatory Reform,"
Secretary Geithner's testimony before the House Committee on Financial Services. 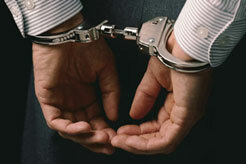 "Financial Fraud Is Focus of Attack by Prosecutors,"
By David Segal, THE NEW YORK TIMES, March 11, 2009. TIME MAGAZINE, March 6, 1933. Bill Moyers talks with alternative media heavyweights Glenn Greenwald and Amy Goodman about what can and can' t be addressed in big corporate media. Amy Goodman and Glenn Greenwald are the first recipients of the Park Center for Independent Media Izzy Award (named for I.F. Stone). Find out more about I.F. Stone's life and legacy. View a selection from the Moyers Digital Archives.